We are talking about Granite. With more choices than ever, selecting the right granite countertop has become an overwhelming task. Walk into a granite supplier’s warehouse and it will seem like a labyrinth of exotic stones. Experts say that there are almost 6000 – 7000 different types of granite. How do you narrow down on the right one? The most important part of the selection process is the colour. Get the colour right and you can personalize it with the patterns and the veins. Here’s our guide to the common options that should be a perfect fit for your kitchen. Neutral tones like brown and beige in granite countertops are versatile and blend perfectly with any kitchen décor theme. If you wish to go contemporary or modern, then they can be paired with a variety of cabinetry and backsplashes. On the other hand, these colours are also perfect for anyone who likes to change the kitchen theme every few years. Because they never look dated. And there are an abundance of patterns, flecks and designs to choose from. You cannot go wrong with black granite countertops. It’s the classy choice that can be paired with cabinetry of almost any colour. From solid to intricate patterns, there are choices galore in black granite. You can either go minimalistic with solids or go bold with gold speckled ones. 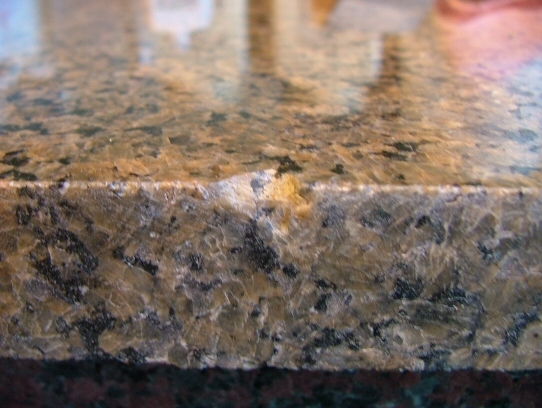 Green granite countertops are rising in popularity. It’s a natural colour and it has a relaxing atmosphere which is a welcome addition to any kitchen space. Once again, the choices in design are limitless. From simple patterns to spectacular flecks of mica, there’s an option for every kitchen. You can match the colour with the walls or offset the wooden cabinets. 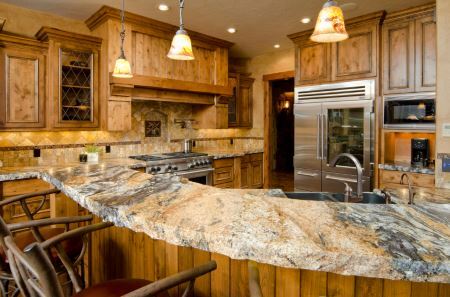 Red Granite countertops will add a fiery vibe to your kitchen that is unparalleled. Choose from deep burgundy or bright hues, lighter shades or maroon, you can use red granite to create an energetic focal point for the kitchen. The best part is that red granite blends in perfectly with wood work and can be a wonderful addition to any kitchen design, from classic to contemporary. Make your kitchen in Toronto seem more spacious and bright with White granite countertops. You can choose solids with minimal veining and patterns or choose from a slabs with a generous sprinkling of reflective materials in a range of colours. From black, grey to gold and brown, white granite has an alluring mosaic of colours. Hence, it can also be used as a backsplash tile. These are just some of the colours that granite countertops are available in. Speak to your local granite fabricator in Toronto to get ideas and suggestions for your Toronto home.